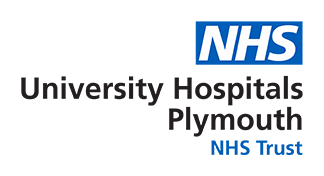 The Orthopaedic surgeons at Derriford Hospital perform approximately 4000 operations, with about 1000 hip and knee replacement operations each year in addition to urgent and trauma procedures. Hip and knee replacement operations are usually performed under a spinal anaesthetic, which numbs the body from the waist downwards. This may be combined with light sedation or patients may prefer not to have sedation and can be provided with an ipad to watch a video or listen to music. Using this sort of anaesthetic allows for a swifter recovery and improved pain relief compared to having a general anaesthetic alone. Anaesthesia for these operations is part of a package called Enhanced Recovery, which starts before the operation takes place and allows the person to get back to functioning as well as possible and as quickly and safely possible. Many other orthopaedic procedures, such as those on the shoulder, knee or ankle may be done under a general anaesthetic combined with some form of regional technique, also known as a “nerve block”. This is where local anaesthetic is injected around the relevant nerves, usually aided by an ultrasound machine so that the nerves can be visualised in real time. Nerve blocks give very good pain relief and have the advantage of avoiding the side effect of strong painkillers such as nausea, sickness or drowsiness. For operations where there is likely to be ongoing pain, a nerve catheter (very thin plastic tube) may be inserted which allows local anaesthetic to be administered continuously for up to 72 hours.